The Colts are best remembered as the group who first recorded "Adorable," a classic doo wop tune subsequently covered by the Drifters, Little Caesar & the Romans and other vocal groups. The Colts formed in the Mojave desert city of Bakersfield, CA, but commuted by car to L.A., where they attended classes at Los Angeles City College. The group -- Ruben Grundy, his brother Joe Grundy, Carl Morland, and Leroy Smith -- eventually caught the attention of music business veteran and impresario Samuel "Buck" Ram, who at the time was also managing the Platters and the Penguins. In August of 1955, the Colts were signed to Mambo Records in Los Angeles and shortly thereafter recorded "Adorable" and its flipside, "Lips Red As Wine." Just as the single (Mambo number 112) was about to hit retail outlets, however, Ram and the label's reps decided that the Mambo name might confuse some people and lead them to think that the label featured only Latino dance music, so the group was shifted over to the Vita label instead (Vita number 112). Meanwhile, in New York, Atlantic Records' Ahmet Ertegun and Jerry Wexler had heard the Colts' "Adorable" and felt the song should be covered by their Drifters. It proved to be the perfect tune for the group (their first without celebrated lead vocalist, Clyde McPhatter, who by this time had just left the group). 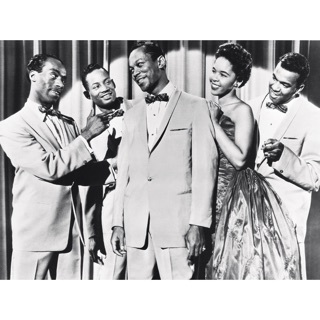 Aided by strong popularity on the West Coast, "Adorable" charted from late October into November before being overtaken in sales by the Drifters' version. In October 1955, the Colts made their very first performance at the 400 Club in San Diego, appeared on local TV shows, and closed out the year by appearing in a big R&B revue in Los Angeles, hosted by DJ Hunter Hancock. In early 1956, the Colts' next single -- "Sweet Sixteen" b/w "Honey Bun" (written for them by Curtis Williams of the Penguins, the writer of "Earth Angel") -- was released (Vita number 121) and after their next single ("Never No More" b/w "Hey You Shoo-Be-Doo-Be" (Vita number 130), manager Ram moved the Colts over to Dot Records. Mickey Lynn, the wife of Johnny Otis Band singer Mel Williams, joined the group as a vocalist, but this lineup failed to produce any releases for Dot. In the summer of 1957, they released "Sheik of Araby" b/w "Guiding Angel" on Buck Ram's Antler label, but by now, Ram was concentrating on the worldwide success of the Platters. The Colts disbanded shortly thereafter.